In Formal Ethics Opinion 5 (July 25, 2014), the North Carolina State Bar addressed a lawyer’s obligation to advise a civil client about social media use. It concludes that a lawyer must provide advice about information on social media if the postings are relevant to the client’s representation. Further, it permits a lawyer to advise a client to take down information on social media—but only if removal does not amount to spoliation of evidence and is not otherwise illegal. The opinion answers the following principal questions. First, may a lawyer advise a client about the legal implications of the social media postings and coach the client on what should and should not be shared on social media? Model Rules of Professional Conduct 1.1 and 1.3, which require a lawyer to provide competent and diligent representation, suggest that a lawyer must have knowledge of social media and an understanding of how it may impact the client’s case. As a result, a lawyer should advise the lawyer’s client, both before and after the suit is filed, of the legal ramifications of existing posts, future posts, and third-party comments. 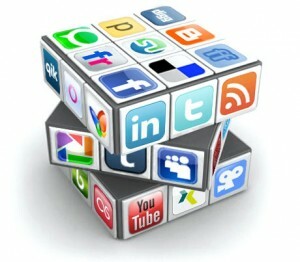 Second, may a lawyer instruct a client to remove postings on social media either before or after the filing of a suit? Model Rule 1.2(d) prohibits a lawyer from counseling or assisting a client to engage in conduct that the lawyer knows is criminal or fraudulent. Considering this, a lawyer must consult the law of spoliation and obstruction of justice before counseling a client to take down social media posts. If removal of posts does not constitute spoliation and is not otherwise illegal, the lawyer may instruct the client to remove existing posts. When there is potential that removal of the posts would constitute spoliation, the lawyer must advise the client to preserve the posts on a memory device, and the lawyer may take possession of the material to ensure its preservation. Third, may a lawyer instruct a client to change security and privacy settings on social media pages to the highest level of restricted access? The opinion concludes that, if such advice is not in violation of a law or court order, the lawyer may instruct the client to change these settings both before and after the suit is filed. Louisiana Rules of Professional Conduct 1.1, 1.3, and 1.2(d) are substantially similar to the corresponding ABA Model Rules. As a result, this North Carolina opinion should provide helpful guidance to lawyers in Louisiana.